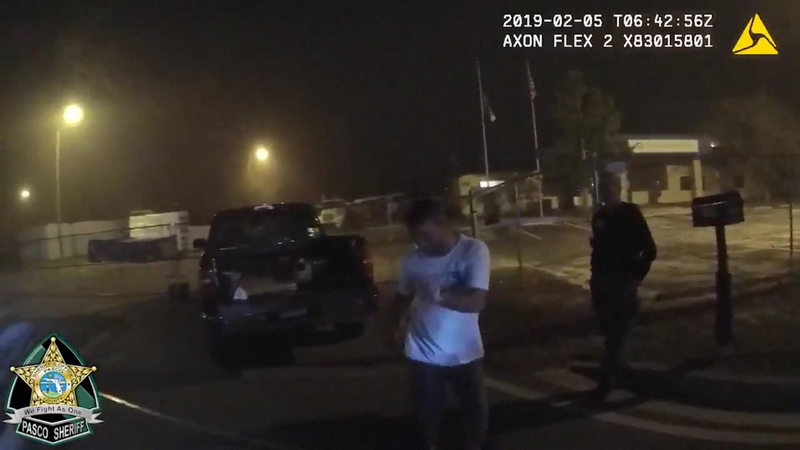 A man in Pasco County, Florida, may have picked the wrong time to show off his dance moves when he was pulled over on suspicion of driving under the influence on February 5. Body cam video shows Larson bouncing and rowing and spinning at certain points. Deputies say the driver was asleep at the wheel. When asked how much he had to drink, Larson asked the deputies to make it easy on him. Police say they spotted a truck parked with its brake lights on in front of a closed business.